There is a passion for social action at UUCWC which extends beyond a single group or committee. Different committees, teams and task forces take action to address identified needs at UUCWC, in our community, and in the world. This includes the Council for Faith in Action, Earth Ministry, Food Ministry, our partnership with HomeFront, Racial Justice, and UU FaithAction NJ. 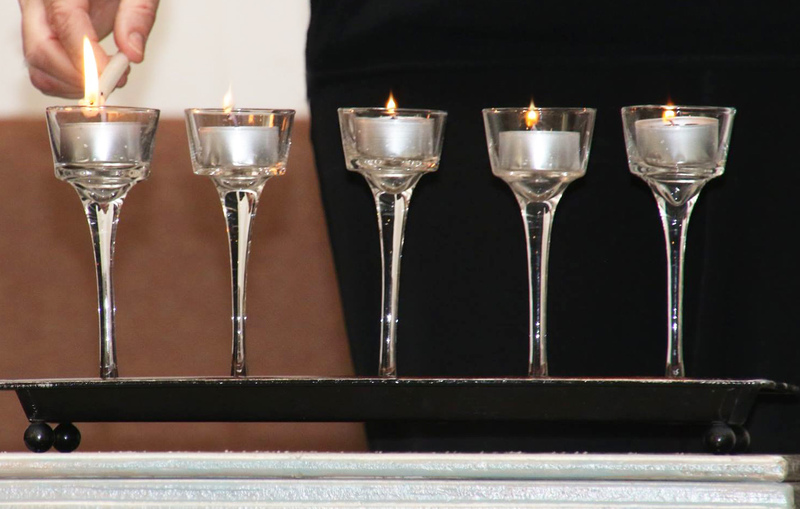 Our commitment to social justice is evident when we light our five Candles of Fellowship during the Sunday service. We light these candles to remind ourselves and our children of our work to create a world that is fair and caring. In this spirit, we also commit fifty percent of the Sunday plate to social action, enabling UUCWC to support social justice initiatives within our walls, and contribute to an array of community organizations. Our church is a Peace Site, dedicated to promoting peace. On October 23,1983, UUCWC was designated as a peace site by the National Committee for a Sane Nuclear Policy. Being the “Vera Hancock Peace Site” honors a member of our congregation renown for her lifelong devotion to peace, and states our intention to promote peace in the many forms that it may take. Our church is a Welcoming Congregation, where people who are lesbian, gay, bisexual, and transgender can participate authentically and openly. In 1991, UUCWC became one of the first five congregations in the nation to be designated a “Welcoming Congregation” by the UUA. We accomplished this through a collaboration of gay and straight allies. More recently, we finished a two-year “Living the Welcoming Congregation” program in which 25% of our membership participated. Future programs are being planned. Our church is on a Journey toward Wholeness, an intentional path to undoing prejudice and oppression. Many members of our community have attended the classes and programs sponsored by our Journey Toward Wholeness Transformation Team. 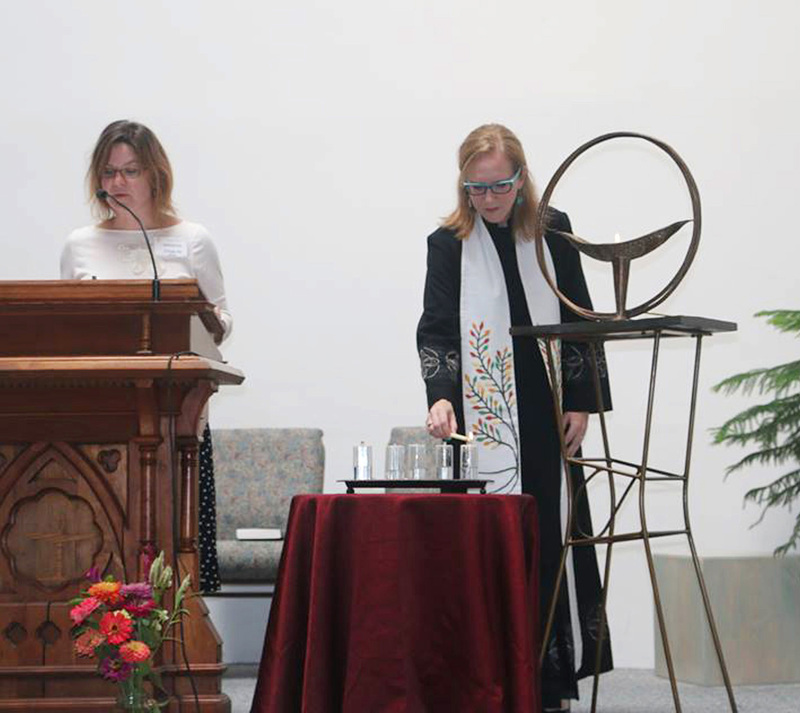 Among JTW’s accomplishments is a history of UUCWC, Exploring the Response to Racial, Gender and Other Oppressions in the History of the Unitarian Universalist Church at Washington Crossing. They maintain a library of books and DVDs about racism and other oppressions, updated regularly and open periodically during coffee hours, and have a collection of 80 book reviews, written by JTW team members, on our website. They also piloted the UUA’s antiracism initiative, Building the World We Dream About. Our church is working to remove all barriers so those who are differently abled can participate fully in our faith community. UUCWC’s goal is to achieve accessibility for people of all abilities, so that they and their families may participate fully in our religious community. The Accessibility Task Force was created in 1998 after a group of church members participated in the course Weaving the Fabric of Diversity. In 1999 we were designated an Accessible Congregation by the National Organization on Disability. In 2001 we sponsored an Interfaith Conference on Accessibility for churches in New Jersey. Our congregation applied for, and received, a Chalice Lighter grant in the fall of 2003. We used the funds to upgrade the fire alarm system and to install an incline chair lift and automatic door openers. Our church is a Green Sanctuary, dedicated to caring for our building and grounds and all places on this earth in ways that respect the interconnected web of all existence of which we are a part. UUCWC is committed to creating a religious community that recognizes its responsibility to live in harmony with the Earth. In 2010, UUCWC became certified by the UUA as a Green Sanctuary. The Green Sanctuary Committee is now the Earth Ministry, a change that brings us into alignment with UUA recommendations and with the related programs at uuministryforearth.org. The Earth Ministry works with other committees at UUCWC to encourage sustainable activities. They are a part of the Facilities Management Team to ensure that we consider our impact on the environment and encourage the use of green supplies. The Earth Ministry raises funds through a monthly used book sale and the sale of fair trade organic coffee and other products, which are used for energy saving projects for our church.